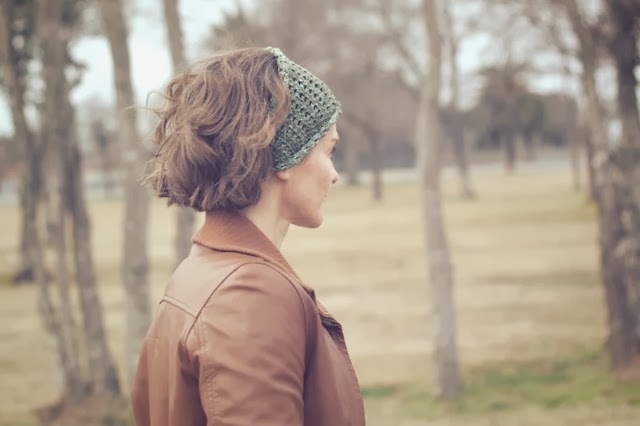 I pinned this head scarf, by Elisa McLaughlin, a couple of years ago because I thought it was different than other knit or crochet headband patterns I'd seen. It didn't tie, wasn't super chunky, could be modified for warm weather, and wouldn't overwhelm a head of thin, fine hair. 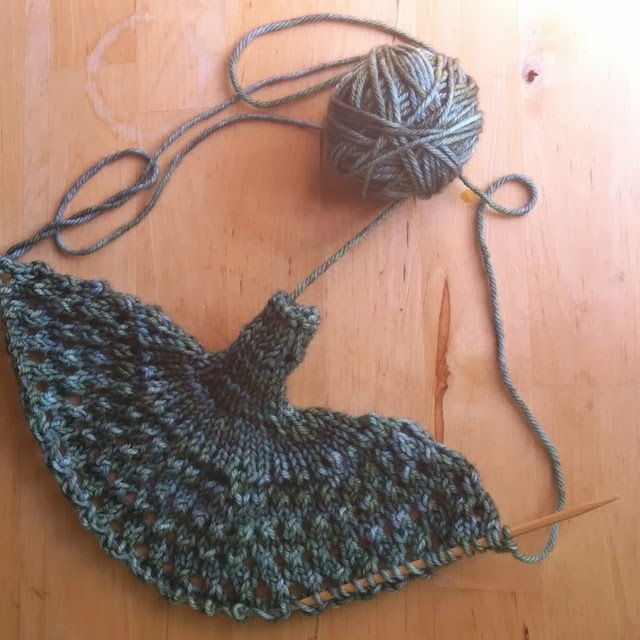 I just didn't get around to knitting it until recently when I finished the Downton Cowl and Rathtrevor mitts and had a bit of each skein of Madelinetosh dk left. 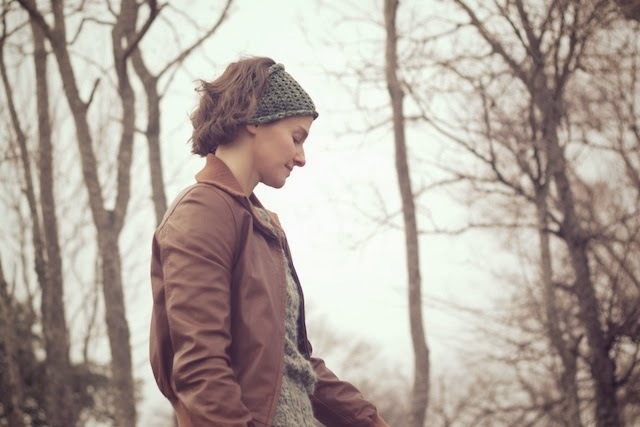 The pattern is called the Britta Lalena Headwrap. I used size 3 needles and dk weight yarn, which is a heavier yarn than the pattern calls for. To counteract the yarn difference, I cast on 4 stitches fewer. I also have a little skull. I barely had enough yarn to finish, otherwise. Though the lace stitch pattern was easy enough, I still found it a challenge. Maybe it was the fact that we were watching Deathly Hallows that made me have to rip back a ridiculous number of times. Once I realized I had to be strict about checking where I was in the pattern after every single row, it was done in no time. The right side is very pretty, but it's actually the reverse side that shows when worn. 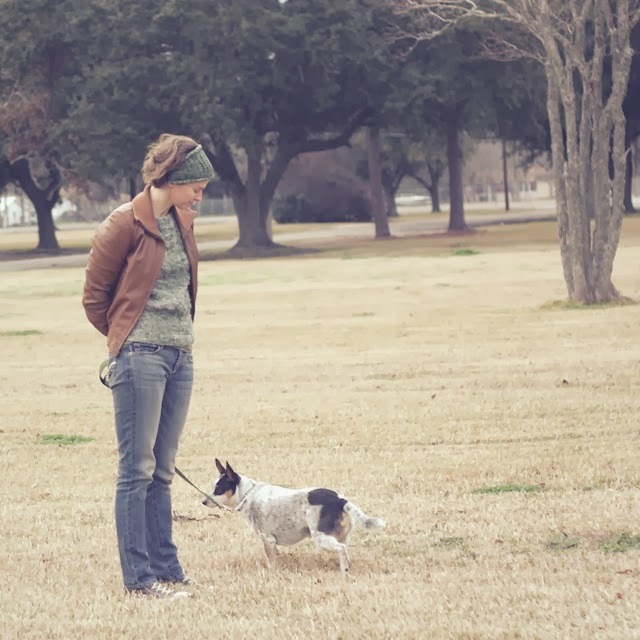 It stretches across the head and takes on a whole different look as the sides curl in. It will be great for greasy/ frizzy hair days. I also like that I can change the placement of the buttons if I feel like the whole thing is stretching out and not fitting properly. I usually find headbands don't keep their fit after several wearings, so this gives me options. 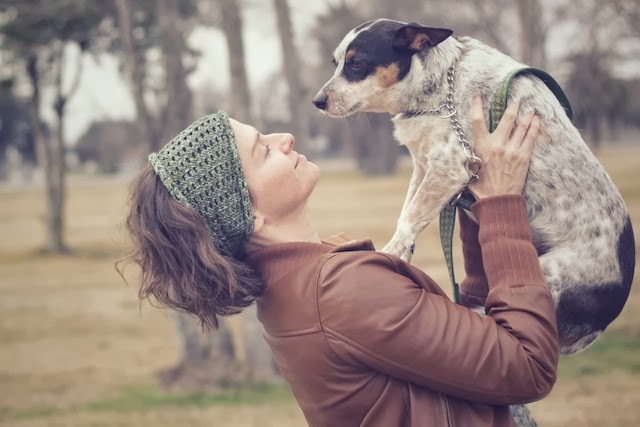 Maybe I'll get a summer weight version made before it warms up or I could use other yarn leftovers to make Elisa's Stripes Headwrap. Oh it's lovely. May even attempt one myself. Only I am rubbish at following lace patterns so it will be a good lesson hehe. The colours of the yarn you have used are just lovely. Cute! I have pretty fine hair and never attempt head wraps, but maybe I'll give this one a shot someday. Thank you, Emma! I love this colorway, too. 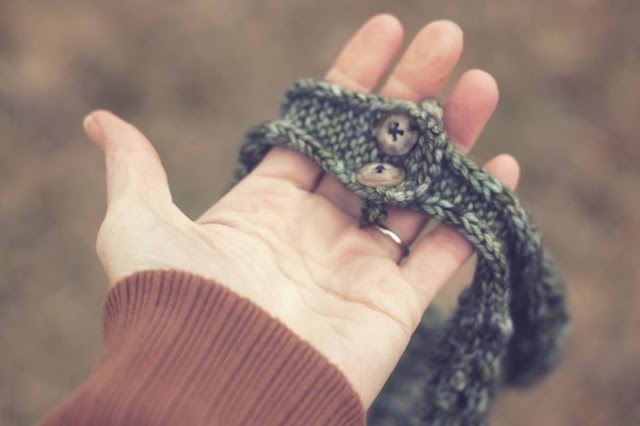 I feel very fancy using madelinetosh, that's why I eeked it out with the scraps. :). This was easy lace, but I'm not super mindful and forget where I am, so, yeah, it's good practice. That's an inheritance to treasure!! I so love the afghans my grandmother made for us as children and cherish them nightly as we watch tv on the couch. :). 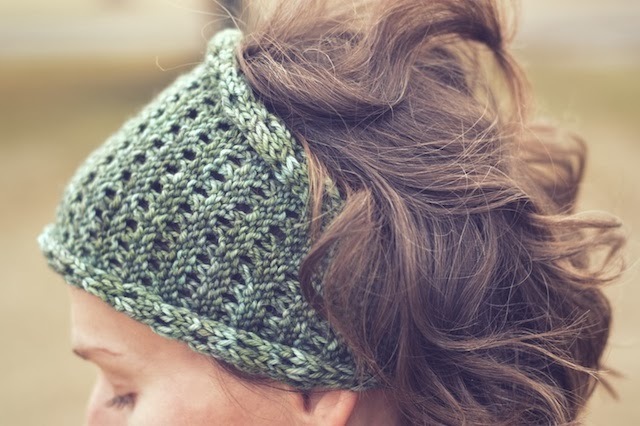 This headband would be a good intro to lace knitting. It's not complex, just takes some focus. I bet she'd like it. My daughter does, too. 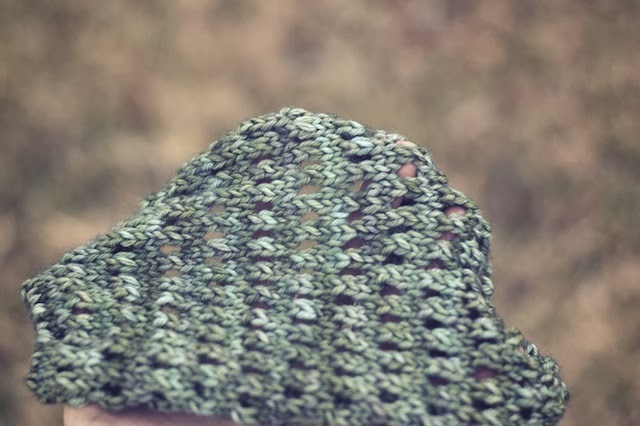 There are also a lot of stockinette stitch head wraps out there on ravelry if lace seems too overwhelming. I've seen videos of people using knitting looms. They're so fast! There are also beanies with holes for a ponytail and things like that she might like. Thanks, Cassy! 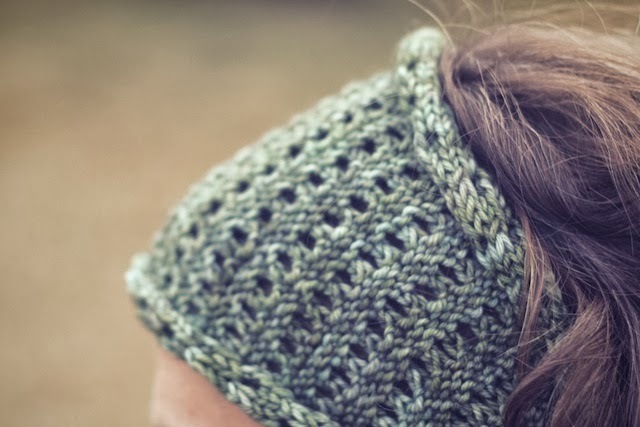 If I knit this in even finer yarn, it would be good as a headband year-round.